For over 25 years Jim Salmon has provided the most comprehensive home inspection services available in the Rochester area and the 9 surrounding counties of Western New York! A licensed New York State Home Inspector, Jim has inspected over 15,000 homes! Find out why so many turn to Jim Salmon and why he should be your Home Inspector! Browse all of Wishbone's Household Tips including uses for everyday products to help save time and money. We are here to help you find a quality contractor in the Rochester, NY area at a fair price that will give you a fair estimate. My home inspections reflect the truth about a home: nothing more, nothing less. I represent your best interest, always. Being the most recognized Rochester, New York home inspector is an honor that I do not take lightly. 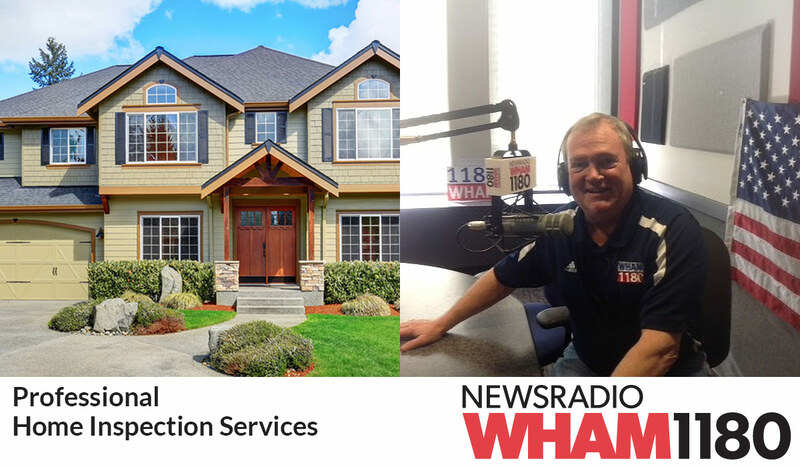 Along with the exposure I have from the WHAM Home Repair Clinic Radio Program comes an awesome responsibility to be the very best home inspector I can be. Thousands of you have trusted me to inspect your home: likely the largest purchase of your lifetime, and for that I thank you very much. Rochester, New York is a great place to live and raise a family. You must have a deep level of trust in your home inspector. You must ask yourself: Will the home inspector you hire represent you and only you? Your home inspector must represent your best interest, always. If you find yourself in need of a professional home inspection in Rochester, New York and surrounding areas, I would be honored to be that home inspector! Our radio programs can be heard all over the United States and around the world through the live feed on the internet. We work very hard to make this website the pinnacle of home repair and improvement. Our webmasters are constantly updating the information to remain current, whether you are a do-it-yourself person, or need to find a local contractor. Read hundreds of articles on home repair, home improvement, landscaping, energy efficiency, real estate and contractor tips. Please visit HomeRepairClinic.com often! Use the contact section to ask home improvement questions or give us your ideas. We are honored to be your home repair resource on the web!